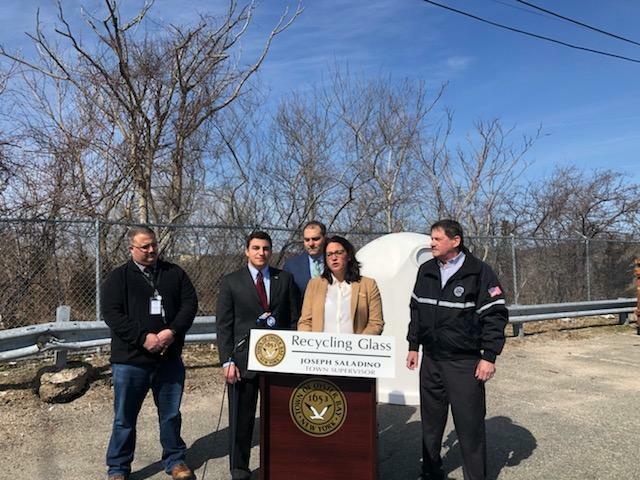 Continuing the Town’s efforts in environmental protection through responsible recycling, Oyster Bay Town Supervisor Joseph Saladino today announced a new pilot program through which residents can dispose of glass products. The pilot program, first of its kind in Nassau County, is being launched to address the recent fall of the international glass recycling market. o John Burns Park, 4990 Merrick Road in Massapequa. For additional information on the pilot program, as well as to review changes to the recycling program and proper products to recycle, please visit www.oysterbaytown.com/recycling.